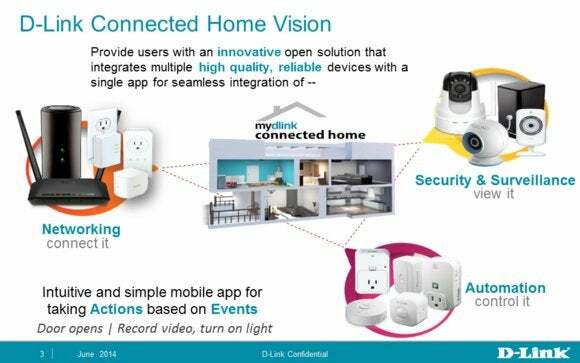 D-Link is targeting the DIY crowd with its cloud-based connected-home platform, which includes very basic lighting control, a motion detector, a limited number of its IP cameras, and mobile apps for programming and control. But this system has a long way to go before I can recommend it as the foundation of anyone’s smart home. I’ll review three of the components in D-Link’s system: its DSP-W215 Smart Plug, DCS-933L Day/Night Network Camera, and DCH-S150 motion sensor. This element of the review discusses the platform as a whole. My overarching reservation with D-Link’s solution is that it’s a walled garden—it generally works only with D-Link devices. D-Link's connected-home system works with any Wi-Fi router, but you'll need a D-Link model to get the most out of it. There’s nothing to prevent you from also installing other home-control devices on your network, it’s just that you’ll need to monitor and control them separately from D-Link’s system. A smart home with stove-piped systems that require different controllers, separate log-ins, and that have different user interfaces just isn’t a smart home. 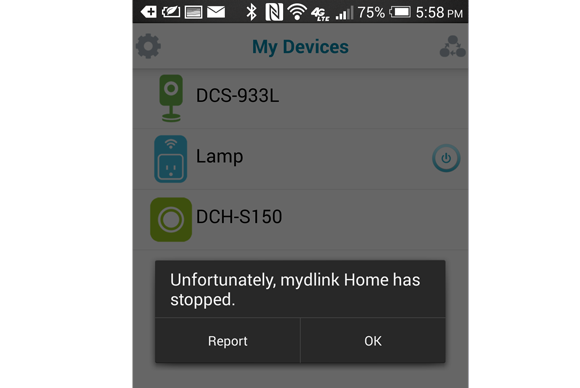 I'd be much more impressed with D-Link's Connected Home platform if I didn't see this message so often. The upside of D-Link’s system is that you get a consistent user interface across all three devices. The downside is that it ignores all the rest of the systems in your home. There’s no solution for climate control, there are no door or window sensors, there’s no alarm to scare intruders away, and the camera can't capture images automatically to provide forensic evidence in the case of a break-in. 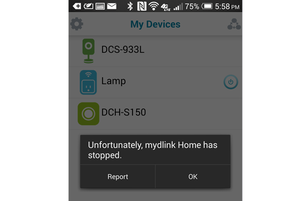 Another odd limitation of D-Link’s system is that it can be managed only using a smartphone or tablet. 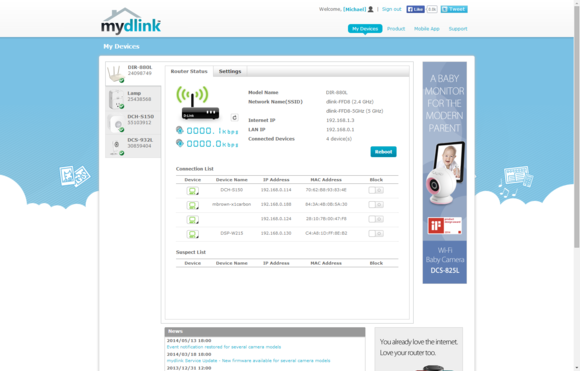 There's no PC app, and D-Link doesn’t have a web portal that you can log into. On the bright side, D-Link doesn’t charge a subscription fee for using the service. D-Link says it’s still evaluating whether it will support IFTTT recipes, as Belkin does with its WeMo product line. IFTTT (If This, Then That) is a brilliant service that allows one event to trigger another across various products and services. It would neatly solve the walled-garden problem (but maybe that isn’t really a problem from D-Link’s perspective). The problems with D-Link's Connected Home Platform go well beyond the fact that it limits you to D-Link products. The portfolio is woefully incomplete, and what's there doesn't work very well.